This DIY guide is dedicated to woodworking plans and DIY joinery designs. 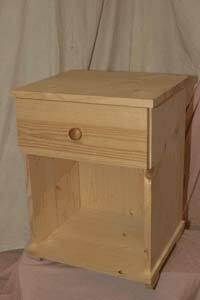 One this project page you will find a selection of woodwork projects you can build yourself including a wheelbarrow planter, bird table, storage chest, bedside cabinet, garden gate, chair and fitness step. Each plan is comes with easy to follow instructions and all dimensions. Woodworking plans and DIY joinery designs for the beginner and intermediate level woodworker. We can make bespoke plans so please tell us what you want to make. Click here to email us your woodworking ideas. All plans are supplied in pdf format so as soon as you pay you get your plan. 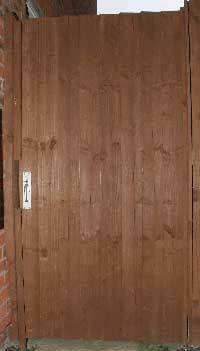 They all come with a complete cutting list so there is no waste of timber and full instructions are supplied. Easily printable as we have put them onto A4 sized paper. The webs only one stop shop for all things woodworking. All woodworking tools can be bought below. You can also get some great help from our projects section. 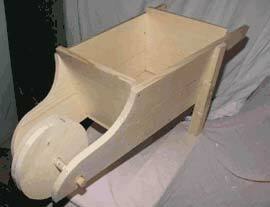 Solid wooden ornamental and decorative wheelbarrow planter. Once constructed this can actually be used as a fully functioning wheel barrow. Ideally situated on patio areas, gardens, courtyards in pretty much anywhere you would like an eye catching and decorative floral display. This project looks tricky but is entirely suitable for the beginner woodworker. 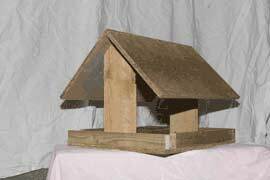 A great woodworking starting point for all you budding bird watchers out there why not build your own bird table. A highly attractive and focal feature in any garden, great for attracting all types birds and other wildlife. Add a touch of traditional charm to your home interior with this solid wood storage chest. Impress your friends by saying it’s all your own work! Intermediate level woodworking required for this one. This one drawer, one storage space bedside cabinet will ideally suit any bedroom. Suitable sized to fit many different room dimensions this item will compliment any sleeping area. This one is also for intermediate woodworkers. A very traditional looking framed, ledge and brace full height garden gate will provide your garden with a multitude of benefits. Not only will it provide an authentic aesthetic look but it will also provide added security to your home. 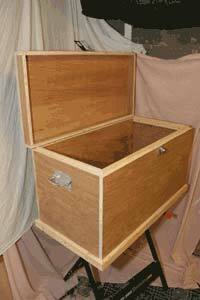 An intermediate woodworking project. Gate is 1795 x 900mm. 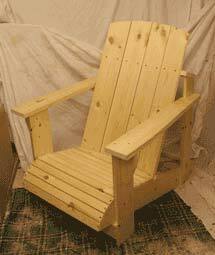 The Adirondack chair takes it name from the North American Mountain region in which it was first created, almost one hundred years ago. There are numerous interpretations of this style of chair but ours features a curved and contoured seating section for extra comfort in your chosen place of relaxation. A fitness step is the ideal home fitness solution. The fitness step pictured to the right, once constructed, can be disassembled into two pieces for easy and conveinient storage. To watch a film on how to use a planer, go to our video section .